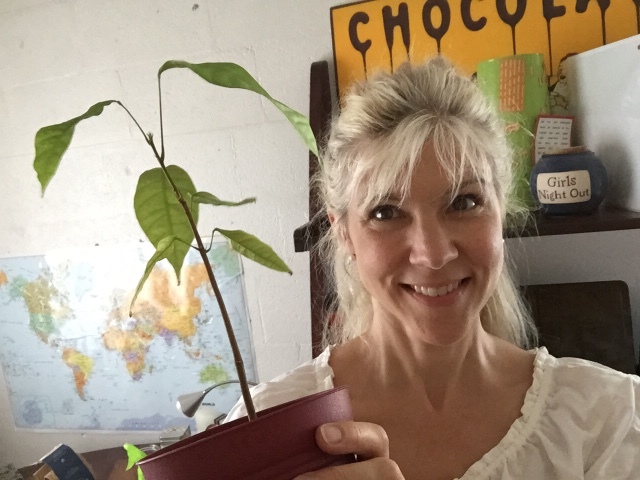 Hey there here's a little update on Chanel the little cacao tree living in Seattle with me. It's very hot in Seattle right now and I'm trying to keep Chanel happy. I fertilized her and gave her a little compost this week. I don't think she liked it because she dropped two leaves. I'm going to repot her into a bigger pot this week. I would love a couple of cups. I"ll even come pick it up.